Rebel Legion :: View topic - Flightsuit weathering coming soon. 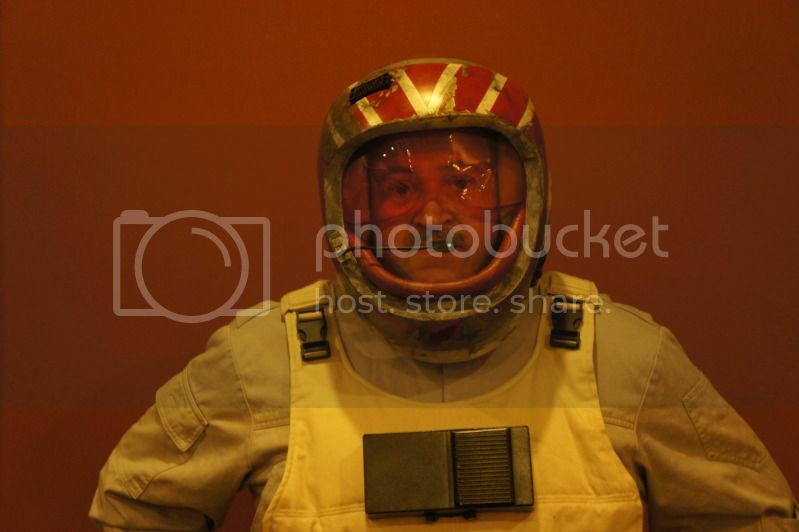 Posted: Mon Feb 11, 2013 1:04 am Post subject: Flightsuit weathering coming soon. Just got my suit back from Blue. Thanks so much for the zipper repairs. I plan to weather my entire outfit in the near future with some help. In the meantime this was one of my submission shots. Not certain this link will work but it might get you to my photobucket library of my pics for the build. Photobucket is all new and weird now. Scott did you weather your suit? I didnt see pics in the PB stream. believe it or not i pulled my helmet out today and looked at it. And I am in talks with a local person to make me a suit from scratch. A friend took pics of me at an event a few weeks ago. I'll try to get those. Have had little time to do much with costumes since then. I'm very busy at work right now.